Main Point: Be kind to your family and friends. 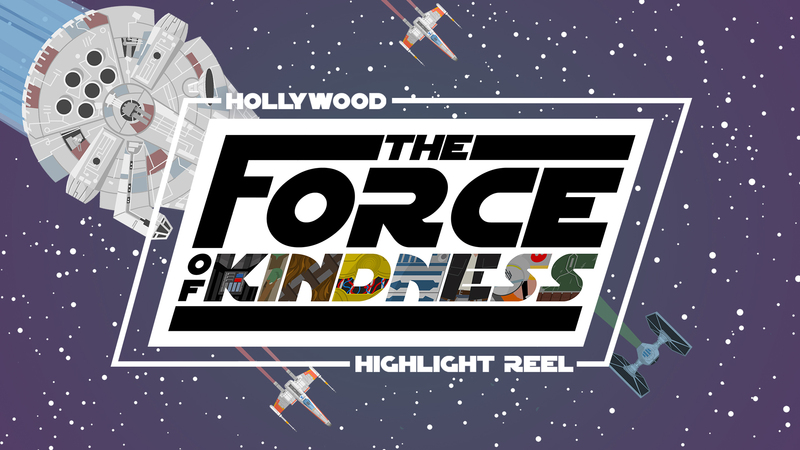 This week we began a brand new series called The Force of Kindness. This is a Hollywood Highlight Reel series for us, meaning we play clips from movies or TV shows and learn lessons from them. This series we will be watching clips from Star Wars: Clone Wars and learning about kindness. We started off by watching a clip where Anakin was kind to his droid R2-D2. He set a good example for us by being kind to someone who was close to him. Sometimes, we can be kind to others but then mean to those closest to us. Ruth also set a good example for us in the Bible story we read. Even when it would’ve been easier for her to do otherwise, she was kind to her mother-in-law and sister-in-law. Have a family conversation about how often we are meanest to those we love the most. Ask for forgiveness where necessary and look for solutions to help each other be kind to family and friends. Come back next week for another exciting installation of The Force of Kindness!